During a discussion of Newt Gingrich’s “food stamp president” claim, MSNBC’s Hardball host Chris Matthews told guest Rep. Trent Franks (R-AZ) that the unemployment rate is lower today than when Obama took office. 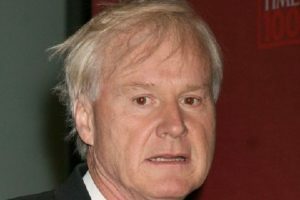 Matthews: I think the unemployment rate, Congressman, is lower now than it was than what he inherited from President George W. Bush, unfortunately. Wrong! The unemployment rate in January 2009 was 7.8%. Today it is 8.5%. For those who argue that January isn’t a fair comparison since he was only in office for 11 days, the unemployment rate in February 2009 was 8.3% as it continued its climb to 10% in October. The 8.5% rate today is actually the lowest it has been since February 2009. To underscore what a poor job Obama has done in relation to jobs, there were almost two million more people on non-farm payrolls when Obama took office compared to today. While Matthews was wrong on his assertion that the current rate is lower than what Obama inherited, since he said, “I think,” I won’t accuse him of lying — just of being careless with his facts.